To change the language of the software, you will first need to open Ace Video Converter's options by clicking the 'Options' tab on the blue ribbon and then clicking 'Options'. Note: This feature is only available in Ace Video Converter Professional. 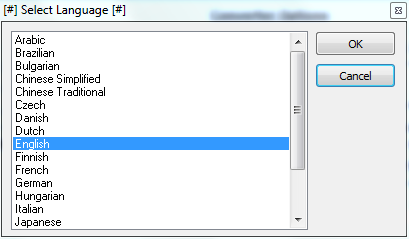 Select your preferred language from the box and then click 'OK'.